Businesses that manage high volumes of cash on a daily basis know that it can be complex, labor intensive, and subject to errors and losses. In addition, other challenges surface, including the need to manage a high store float, higher CIT and banking fees, and never-ending accounting discrepancies. Fortunately, technology has evolved that allows retailers to gain a better handle on managing high cash volumes. One such technology is a cash recycler. Cash recyclers enable retailers to automate their cash management processes, thereby substantially reducing back-office cash room labor and minimizing accounting discrepancies and losses. Stores that utilize a back office cash room with dedicated labor should consider investing in a cash recycler from Tidel to streamline their cash handling processes. Tidel offers the broadest portfolio of cash recycling solutions on the market today, enabling it to address a wide spectrum of cash management challenges across numerous industries. Cash recyclers are uniquely designed to automate cash handling processes, facilitate redeployment of cash room labor, and ensure the accuracy and transparency of all cash transactions. Tidel’s portfolio of cash recycling solutions address the cash processing needs of the largest and most sophisticated retail environments. Our solutions are designed in such a way they can be mixed and matched to create systems of various capacity and functionality, enabling us to optimize the business case at each of our client’s retail locations while maximizing the business case across the estate. At the entry point of our cash recycling portfolio is the Tidel TR50 note recycler. The TR50 offers a compact form factor, enabling it to be placed into multiple points within a store, including point-of-sale, self-checkout, or back-office operations. Our additional lineup of note recyclers, inclusive of the TR100, TR200, TR250, and TR300, offers varying degrees of note capacity, note processing speeds, and other security features, giving our customers the widest selection of note recyclers to address their specific requirements. 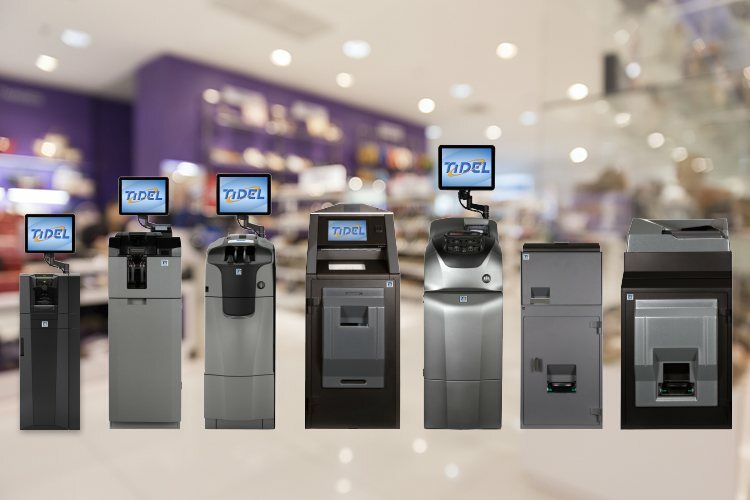 All Tidel note recyclers can be connected to a suite of Tidel coin recyclers, providing a complete, turnkey cash recycling solution. Completely network capable, Tidel’s cash recycling solutions enable retailers to gain greater visibility, transparency, and accountability to all cash processes. Furthermore, all Tidel cash recyclers can be administered by one common software platform – which enables the training and new process development to be much more streamlined for store employees and managers. By achieving greater transparency and substantial improvements in operational efficiencies, high cash volume retail customers that deploy cash recyclers can realize a substantial return on their investment. Reduced cash room labor, minimized store float, and an accelerated start of shift and end of shift processes are just a small sampling of the benefits a cash recycler can provide to a store’s operations. At Tidel, we work closely with our clients to understand their current cash operations, pain points, and other business challenges. This approach allows us to align with our client’s needs and help determine the most optimal cash automation solution for their business. If you are retailer managing high volumes of cash and have a measurable portion of your store labor assigned to cash handling, while simultaneously dealing with losses, third-party fees, and never-ending reconciliation issues, then a cash recycler might be worth considering. At Tidel, our goal is to create long-lasting partnerships by identifying our customer’s needs and providing solutions that support their success. That’s the value we bring to our clients, and our broad portfolio of cash recycling solutions is just one step in that journey. Please click here to learn more about Tidel’s cash recycling solutions, and reach out to us if we can be of assistance. We’re here to help.